Don't have enough people to have our instructor come on-site to teach? Come to one of Mirion’s well-equipped, comfortable facilities to take the class you need. . Please see below for classes currently being offered. If you would like to register for a class simply click the Register button. You can pay with a credit card right online. If you would like to pay with a PO please contact Nicole Guglietta at nguglietta@mirion.com. Note: The course descriptions that have a , , or are part of the Training Trax "Pathways To Expertise" program. If you would like one of these courses to count towards your Pathway please let us know, as an exam is required. This 2-day course covers the complete range of radiation detection principles from sources of radioactive materials to advanced radiation detection applications and everything in between. 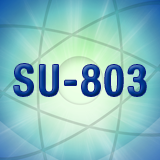 This is a concentrated, concise, fast-paced course that includes basic physics and practical implications for all aspects of radiation measurements. This course is not a hardware or software operations course. The course is entirely in lecture format. Click link below for full course description. 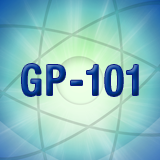 This 2-day course covers the complete range of gamma spectroscopy principles from a review of radiation detection principles to evaluation of results and everything in between. 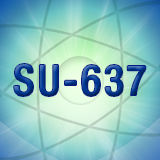 This is a concentrated, concise, fast-paced course that includes a practical approach to all aspects of gamma-ray spectrometry. This course is not a hardware or software operations course but does include an introduction to Mirion gamma spectroscopy software. The course is entirely in lecture format and includes mathematical exercises for many of the calculations germane to gamma spectroscopy. This 2-day course covers the complete range of alpha spectroscopy principles from a review of radiation detection principles to evaluation of results and everything in between. This is a concentrated, concise, fast-paced course that includes a practical approach to all aspects of alpha spectrometry. This course is not a hardware or software operations course but does include an introduction to Mirion alpha spectroscopy software. The course is entirely in lecture format and includes mathematical exercises for many of the calculations germane to alpha spectroscopy. This 2-day course covers the complete range of alpha/beta counting principles from a review of radiation detection principles to evaluation of results and everything in between. This is a concentrated, concise, fast-paced course that includes a practical approach to all aspects of alpha/beta counting. This course is not a hardware or software operations course but does include an introduction to Mirion alpha/beta analysis software. The course is entirely in lecture format and includes mathematical exercises for many of the calculations germane to alpha/beta counting. This 2-day course is the "capstone" session for CANBERRA's Alpha/Beta Counting fundamentals program. 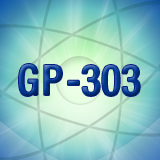 This course builds on the content of Principles of Radiation Detection and Fundamentals of Alpha/Beta Counting, tying together all of the principles into a series of relevant practical exercises. The course is a practicum to demonstrate the principles taught in the prior courses and provide hands-on experience for each technologist in all aspects of alpha/beta counting system setup and operation. The course is 16 hours in duration, with approximately 80% of the time allocated for student exercises. Mirion's SU-470-4 training course was designed to provide introductory-level instruction for using Genie 2000 software to perform typical gamma spectroscopy measurements. This course starts with a short review of basic gamma spectroscopy concepts, common Genie 2000 measurement applications, and the Windows operating system environment. It then covers the use of the Genie 2000 MCA Definition, Certificate File, Nuclide Library, and QA File editors. This course emphasizes use of the interactive Genie 2000 software environment for performing spectral data acquisition, system calibration, spectral file analysis, and reporting of measurement results. Approximately 65% of this 4-day course will be presented in lecture format, with the remaining 35% allocated for group discussion and practical exercises. This 3-day course is a combination of lecture and practical examples covering optimization of the Mirion Genie 2000 algorithms. Detailed descriptions, examples, and classroom exercises are used to facilitate learning the basic analysis steps, selection of analysis algorithms, and their setup for specific applications. Approximately 60% of this course is presented in lecture format, with the remaining time allocated for hands-on exercises and discussions. The algorithms are used in Genie 2000 and other related Mirion software packages such as Apex InVivo and Apex-Gamma. This course is intended to provide students with sufficient knowledge and understanding to optimize the Genie 2000 gamma analysis process and ensure high-quality analysis results for their gamma spectroscopy measurement applications. Mirion’s SU-474-4 training course was designed to introduce the basic features of the ISOCS Efficiency Calibration Software and the use of ISOCS for in situ gamma spectroscopy measurement applications where traditional “source-based” calibrations may not be practical. Students will also be introduced to additional Mirion software features and specialized hardware components that are typically integrated with the ISOCS software. Approximately 60% of this 4-day course will be presented in lecture format, with the remaining 40% allocated for group discussion and practical exercises. 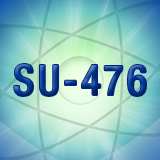 Mirion's SU-476 training course was designed to provide advanced instruction for current users of ISOCS, with emphasis on improved sample modeling, accuracy of analysis results, evaluation of total measurement uncertainty, and equipment deployment options for complex measurement applications. This course provides detailed recommendations for modeling complicated source distributions using the standard ISOCS geometry templates. Various advanced ISOCS applications will be discussed, including measurements of nuclide activity in near surface and subsurface soil, contamination on the surface of complex objects, and determination of nuclide activity vs. depth in sample material. 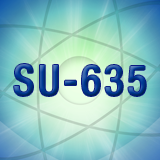 Additional topics include use of ISOCS for in vivo counting, underwater radioactivity measurements, and airborne radioactivity measurements. Numerous practical examples and student exercises will be presented and discussed. Approximately 60% of this 3-day course will be presented in lecture format, with the remaining 40% allocated for group discussion and practical exercises. 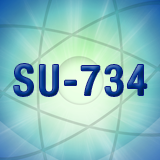 Mirion's SU-477 training course was designed to provide comprehensive instruction for proper use of the LabSOCS Efficiency Calibration Software. This course will focus on proper selection and use of the standard LabSOCS geometry templates for accurate modeling of samples and creation of optimized efficiency calibration files. Lecture and discussion topics will include: use of the "Geometry Composer" interface, typical applications for LabSOCS sample geometry templates, tips for proper template parameter entry, use of the Materials Library editor, and proper use of LabSOCS calibration files within Genie 2000. Common sample geometries (including paper disk, charcoal-filled air filter cartridge, polyethylene bottle, and Marinelli beaker) will be selected as practical examples to demonstrate the complete LabSOCS efficiency calibration process. Cascade summing corrections will be discussed as a method to improve the accuracy of nuclide activity calculations during routine sample analyses. Approximately 60% of this 3-day course will be presented in lecture format, with the remaining 40% allocated for group discussion and practical exercises. utilities and facility database software, software installation, operational setups, security, sample counting job streams, reports, QA, data review, and event logging with the use of simulators. Discussions will also include Batch QA samples that accompany unknown samples. The course is conducted in an interactive style and attendees are encouraged to ask questions and participate in group discussions. Approximately 60% of this course will be presented in lecture format, with the remaining time allocated for hands-on exercises with discussion. This 2-day course is designed primarily for germanium detector spectroscopy, although many of the topics are also applicable to scintillation detectors. The course emphasizes the use of fundamental principles of physics to explain features found in spectra, and the creation of libraries to aid in the interpretation of spectra. Students should acquire the tools and information they need to: understand "phantom peaks", optimize gamma nuclide libraries to accurately identify and quantify nuclide activity, reduce the reporting of unidentified peaks, utilize methods for counting "hot" samples, understand "Dead Time" and its implications, and optimize the analysis of spectral data. Students are encouraged to bring examples of their spectral files for examination during the course. Additional topics of special interest may be covered depending upon student interest. Lab exercises with simulators and spectra are employed to demonstrate lecture topics. Analysis algorithms discussed and demonstrated are from the standard Genie 2000 software. This 4-day course focuses on the Apex-Gamma "Lab Productivity Suite" software setup, database interactions, and automated sample processing operations. Approximately 60% of this course will be presented in lecture format, with the remaining time allocated for hands-on exercises and discussion. The training will cover: architecture of the Apex-Gamma environment, interactions with Genie 2000 editors and facility database software, installation, operational setups, security, sample counting job streams, reports, QA, data review, and event logging. Discussions will also include the NPP reports option and the supported modifications to standard Apex-Gamma reports. In this 2-day course learn how to perform basic modifications to standard report templates for Apex InVivo using the Stimulsoft Reporting software. In this beginners style class, modifying the standard report outputs will provide an opportunity to reorganize, regroup, and display report data in fashion tailored to your organization’s needs. An introductory level understanding of SQL and C# programming languages is beneficial. Mirion's SU-734 training course provides comprehensive instruction for proper use of the Apex-InVivo software package to perform whole body counting and other direct bioassay measurements. Students will be introduced to the basic features and functionality of the Apex-InVivo software, and to the hardware components that are typically integrated with standard CANBERRA in vivo counting systems. With prior approval from the instructor, the course content can be adjusted to include an extended review of fundamental gamma spectroscopy principles and basic Genie 2000 software operations (with reduced coverage of advanced Apex-InVivo software features and setup options). Approximately 60% of this 4-day course will be presented in lecture format, with the remaining 40% allocated for group discussion and practical exercises. This 3-day course covers all aspects of current version Eclipse operation in conjunction with Tennelec Alpha/Beta counters. It is an introductory course that begins with hardware familiarization and proceeds through setup, calibration, and sample counting. The course then covers more advanced functionality such as the Microsoft Access database, custom report generation, and report modification using Seagate Crystal Reports. Attendees will examine the Microsoft Access database and learn how Eclipse data is stored. Seagate Crystal Reports is discussed in-depth during the class, and multiple versions of Crystal Reports are typically presented. Crystal Reports syntax, formula editing, and advanced features will be discussed. Attendees are encouraged to bring copies of their custom reports to be reviewed and edited during the class. "Hands on" learning is encouraged, both with the hardware and the software. Hardware varies by location, but typically includes vintage Tennelec systems as well as state of the art systems. Attendees are encouraged to provide feedback as to how Eclipse is currently being used in their labs, and what changes should be made in the future. Course content will be tailored to best satisfy the needs of the individual attendees. At least 35% of the class time is dedicated to hands-on exercises. This 2-day course is designed as an introduction to common air monitoring concepts, featuring detailed instructions on iCAM calibration and maintenance functions. The course begins with an introduction of the CANBERRA iCAM instrument, including a description of all components and theory of operation. Potential fault and alarm indicators will be discussed, as well as how to address problems that could arise during operation. After reviewing the hardware components, the iCONFIG software will be demonstrated to show the functionality of this power configuration tool. Once the iCAM setup is complete, the course will we cover options and methods for calibrating the instrument, including alpha and beta calibrations along with airflow calibrations. Each step will be explained and students will be able to calibrate the instrument in a "hands-on" lab portion of the course. Other topics for discussion will include evaluation of calibration results and routine iCAM maintenance procedures. Approximately 40% of this course will be presented in lecture format, with the remaining time allocated for "hands-on" exercises and discussion.